Any activity near water can be a risk. Be aware of the hazards, adopt a common sense approach and take sensible precautions. • Be aware you are in the Countryside and in a Natural Environment, conditions can change or may have changed since your last visit. • Always try to use the prepared swims over-grown, steep, or slippery banks can be very dangerous. 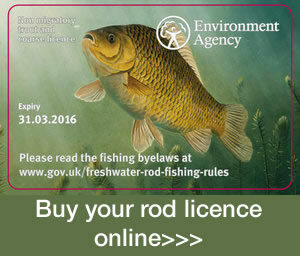 • Always check your peg is sound and safe before fishing, erosion can degenerate a peg that was safe on your last visit. • On flooded rivers, beware of undercut banks and rising levels. 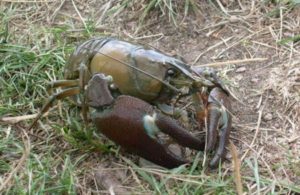 • Be aware of the dangers of wading, never wade where it is unsafe to do so. • DO NOT take risks, if in doubt Don’t! There is little chance for those who get into difficulty on water. Take extra care if you are a non-swimmer. • near overhead electric power lines. Electrocution can be fatal! Do not fish within 30 metres of power cables. • Always notify someone of where you intend to fish and what time you are expected to return. should be exercised at all times. 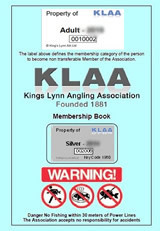 However, if any member is aware of any particular hazard which may affect the safety of members or the general public on KLAA fisheries would they please notify the Secretary accordingly. Weil’s Disease (Leptospirosis) is a bacterial infection carried in rats urine which contaminates water and the banks of lakes, rivers and ponds. It is a serious disease in human beings that requires hospital treatment. 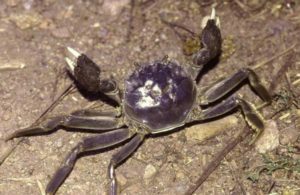 The early symptoms are similar to those of flu and normally start 3 to 19 days after exposure to contaminated water. Every year people die from this disease which is unnecessary because it is easily treated if diagnosed in time. Q Fever. Usually transmitted by farm animals, however it has also been transmitted by rats and has similar symptoms to Weils Disease so the same precautions need to be applied. • Cover any cuts, sores or scratches with waterproof plasters or gloves. • Disinfect any wounds that occur at the waterside, antiseptic wipes are available. • Wash your hands or cover any food with a wrapper before you eat. • Do not put your hand in your mouth after immersing in river water and never place bait or fishing line in your mouth. • Do not touch dead animals, especially rats. • If you develop flu like symptoms that persist tell your doctor that you may have been exposed to leptospirosis so that he/she can consider it in the diagnosis. • Do not leave food, ground bait or bait on the bank side to encourage rats. • Do not wear open-toed or no footwear near water. • Always wash or shower after activities involving fresh water fisheries. This disease will probably arrive in this country by modern air travel. However whilst this may only be a small risk it pays to be vigilant.If you notice a number of birds dead in any one instance, particularly near watercourses notify DEFRA on their hotline 08459 335577 and a KLAA Officer. For your own safety do not touch any possibly infected birds.